Sales managers spend hours analyzing reports, crunching numbers and meeting with sales reps to discuss deals. Yet we know from studies that most deals will not close on the predicted date, or even at all. So what are they doing wrong and is there a better way to manage sales performance? 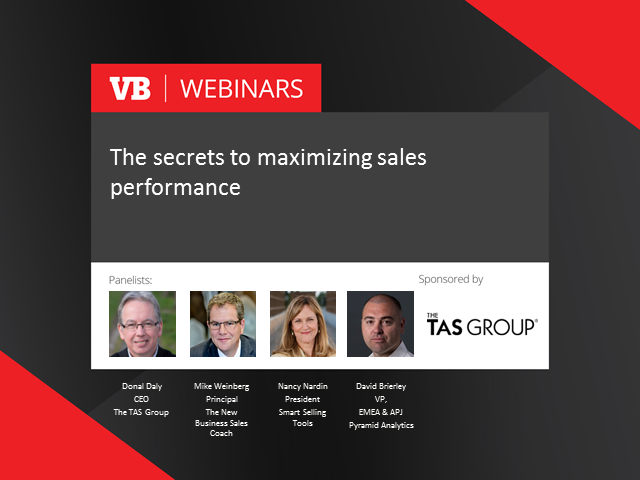 Join sales expert Donal Daly, CEO of The TAS Group, along with Mike Weinberg, Consultant, Speaker & Best Selling Author, and Nancy Nardin, President, Smart Selling Tools in this educational sales performance focused webinar. * Drive increased productivity & performance.